Home » Diet » 8 Colourful Superfood Lattes You Should Try! What’s the deal with the colourful lattes we’re seeing at all our favourite coffee shops? Is it seriously ok to drink such bright, almost fluorescent concoctions? The answer is yes. Rich in nutritional value, these botanical lattes can provide a healthy jump start to your day. Great for a sweet tooth, superfood powders are mixed into the milk of your choice – so you can get experimental with different flavours. Here are some of the wonderful hot drinks quenching modern thirsts all over the world while boosting general health and well being. 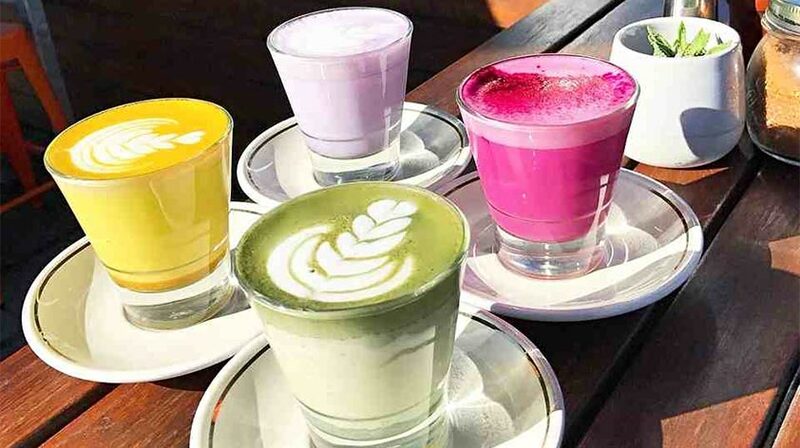 Read on for 8 Colourful Superfood Lattes You Should Try! After just a few sips of this steaming cup of green, with its energising properties and sweet taste, you’ll feel alive and kicking. 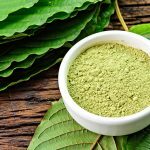 Made of strong green tea leaves, Japanese matcha is an antioxidant which can increase brain function, making it a healthy and nutritional coffee alternative. It can help prevent cell damage and has also been linked to fighting cancer and being good for your liver. Also known as ‘golden latte’ due to its enchanting colour, this drink has many health benefits. Turmeric aids digestion and acts as an anti-inflammatory, making it great for your body inside and out. It can boost the immune system with its antibacterial content, making it a great option to help ward off infection. It can also lower cholesterol. Certainly a very pretty colour, this ahem, Deep Purple, latte is a cup of sweet surprise. Packed with nutrients and nitrates, beetroot is a great antioxidant superfood which can lower blood pressure and help fight inflammation. The colour may be dark and mysterious, but the outcome can be a cleansing experience, with charcoal containing detoxifying agents which are great for gut health, counteracting bloating and indigestion, whilst promoting a healthy digestive system. Pretty in pink, rose water-infused milk tastes as good as it looks, whilst the natural minerals create a stress-relieving effect on the body. This is the perfect option to calm and hydrate yourself, helping start your morning in a relaxed state. When you think of lavender you might imagine fragrant country fields or your calming bath soak, but splash a few drops in some milk and this will soothe you just the same. With its hypnotic scent, lavender can relax that restlessness and help decrease levels of anxiety and insomnia. Don’t be put off by the slight seaweed scent – the blue algae latte is high in antioxidants and helps boost energy levels. It contains minerals, enzymes and amino-acids which aid your immune and cardiovascular systems. This blue sea drink can also reduce stress and cholesterol. This chocolatey blend is a great mood enhancer. Naturally sweet as the purest form of chocolate, it is full of antioxidants making a warming cup of delicious full-bodied goodness. Cacao is rich in magnesium, benefiting the heart and nervous system, whilst unlocking its muscle-relaxing effects, keeping your body and mind content. 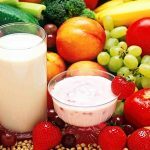 How a Healthy Diet Leads to a Healthy, Happy Mind! Top 5 Health Benefits of Vanilla!